Very early, heavy porcelain advertising sign for De Laval Cream Separators w/ early, raised volcano type holes. 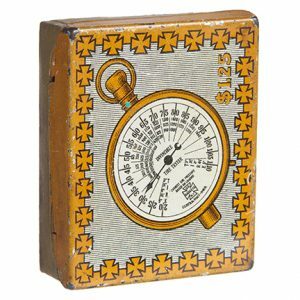 SKU: 62-202. 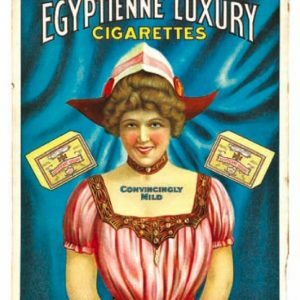 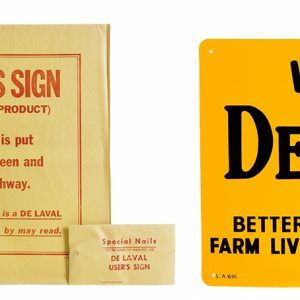 Categories: Antique Signs, Farming/Agriculture, Porcelain Signs, Vintage Ice Cream and Dairy. 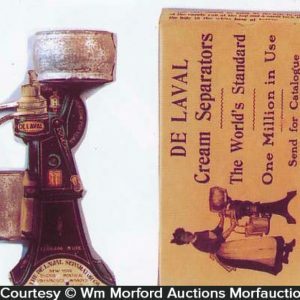 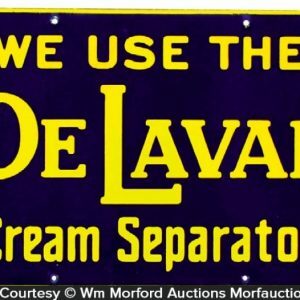 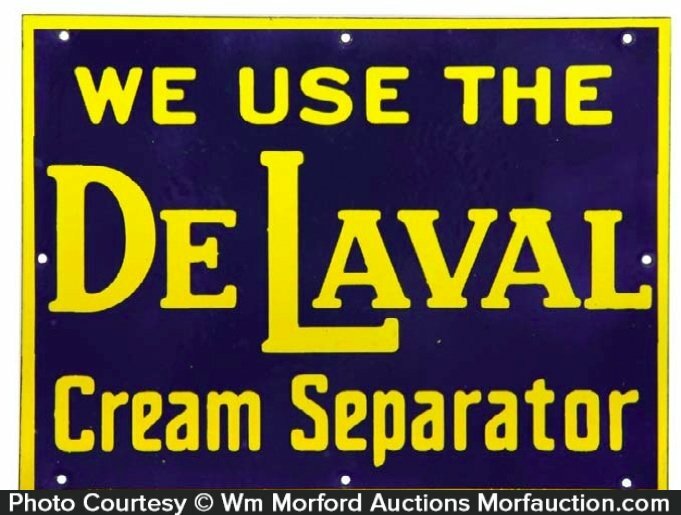 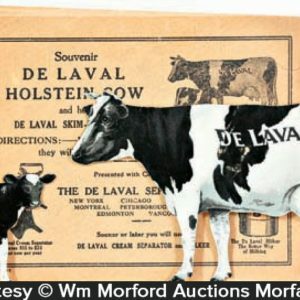 Company/Brand: De Laval Cream Separators, De Laval Separator Co..
Delaval Cream Separators Porcelain Sign: Very early, heavy porcelain advertising sign for De Laval Cream Separators w/ early, raised volcano type holes. 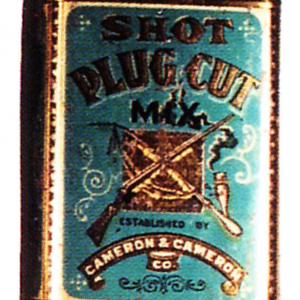 Excellent (C. 8.5++), w/ nice surface sheen.